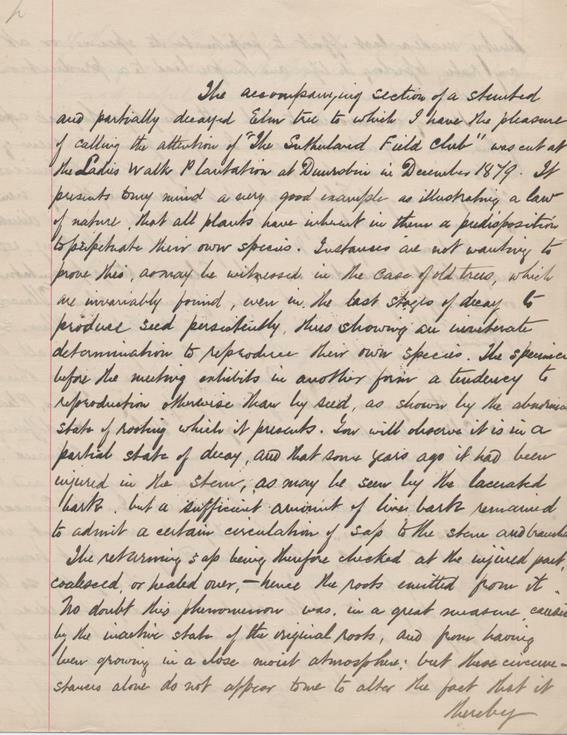 A report delivered to Sutherland Field Club by Wiiliam Baxter, forester, Golspie, entitled On the Predisposition of Plants to perpetuate their own Species and dated Dunrobin 1st January 1880. Discusses a damaged elm tree at Ladies Walk Plantation, Dunrobin. Single folded sheet.